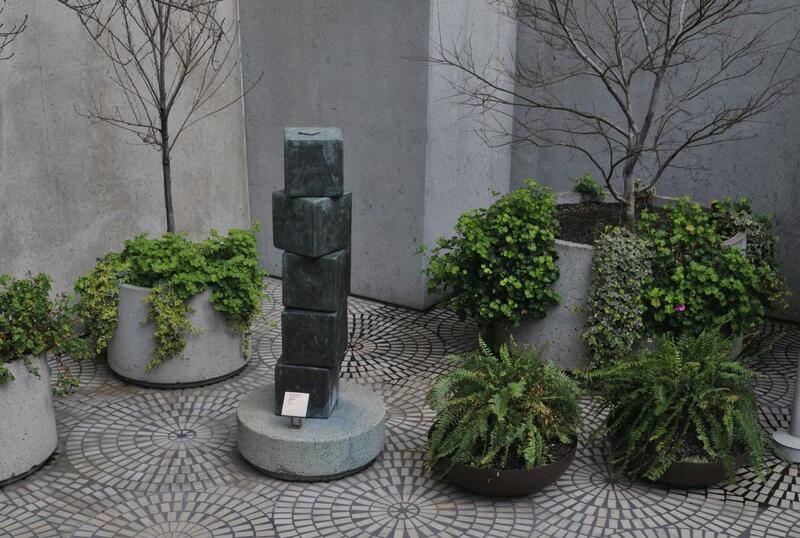 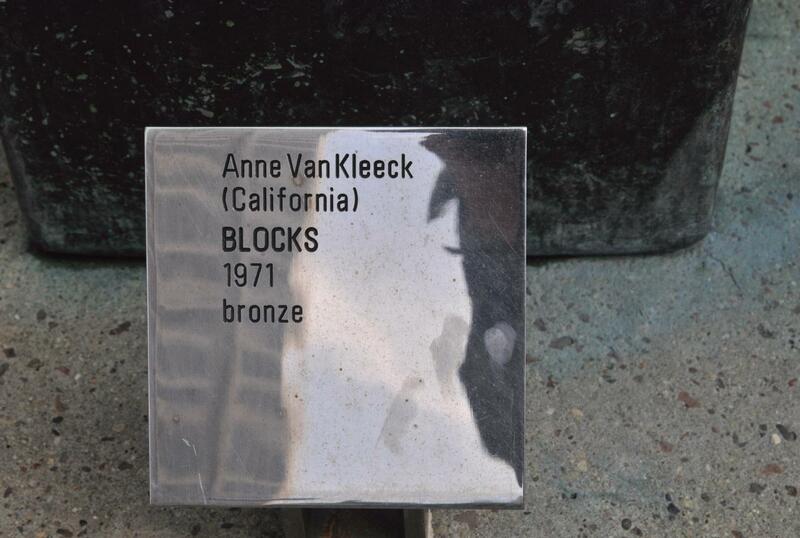 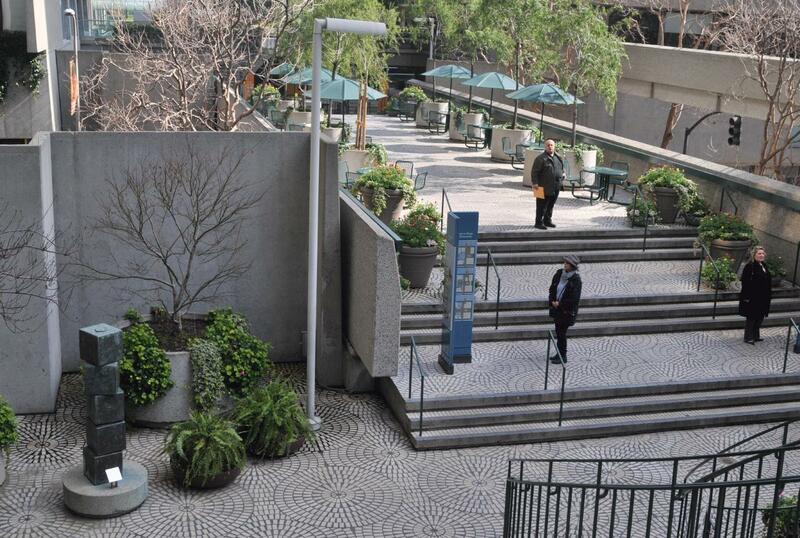 The sign read: "Anne Van Kleeck (California) BLOCKS 1971 bronze"
The statue was located in the corner nearest to Embarcadero Three on the second floor. 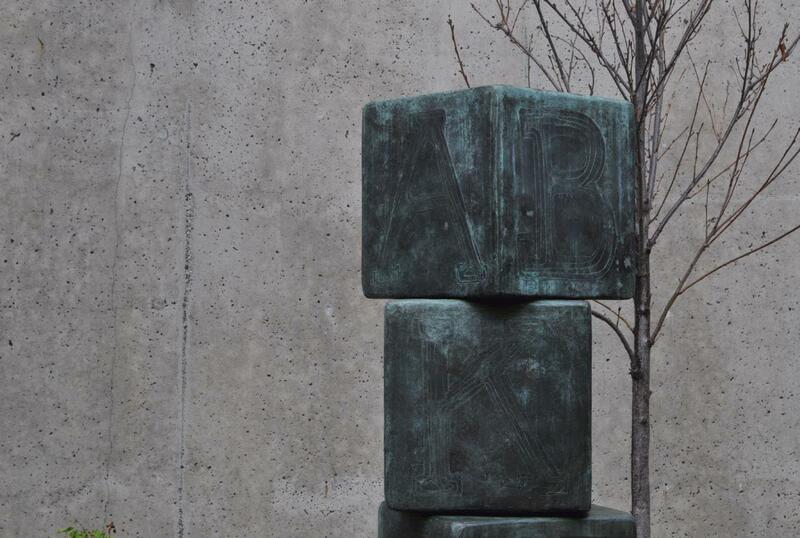 A stack of block etched with letters made to resemble a stack of childhood alphabet play blocks. 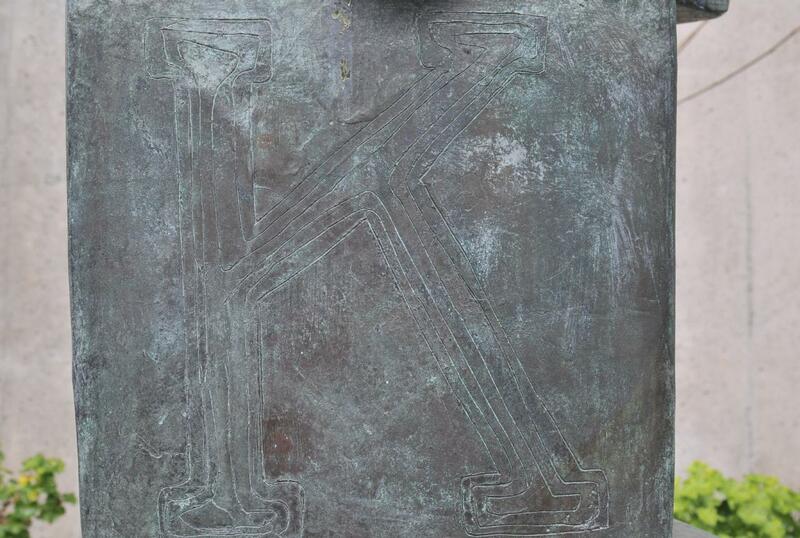 The letter K on the face on one of the blocks. 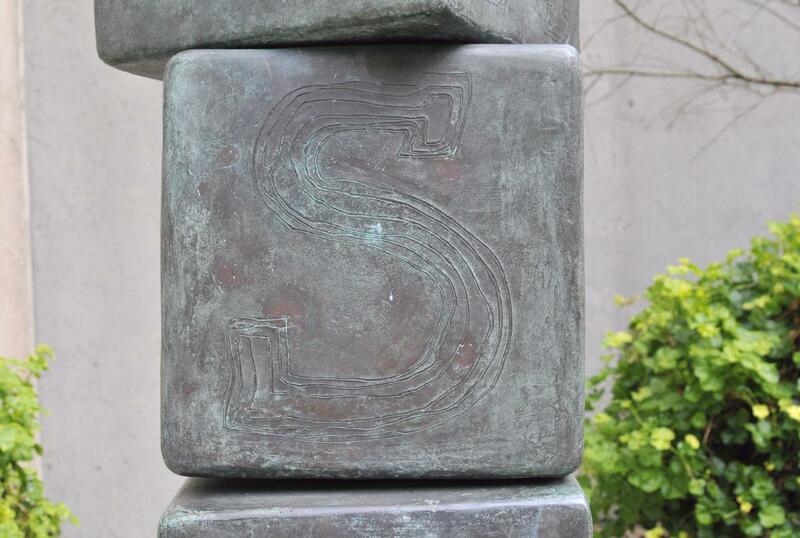 The letter S on the face of the block under the K.
The statue was displayed in a well planted corner. 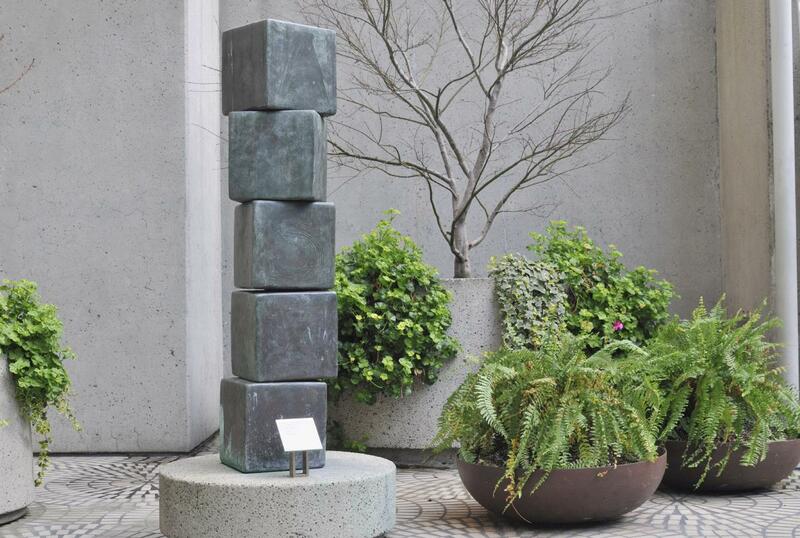 The statue of blocks was easily viewed by those coming from the neighboring Embarcadero Three.